My MIL wants to postpone the wedding while my FIL's in jail. 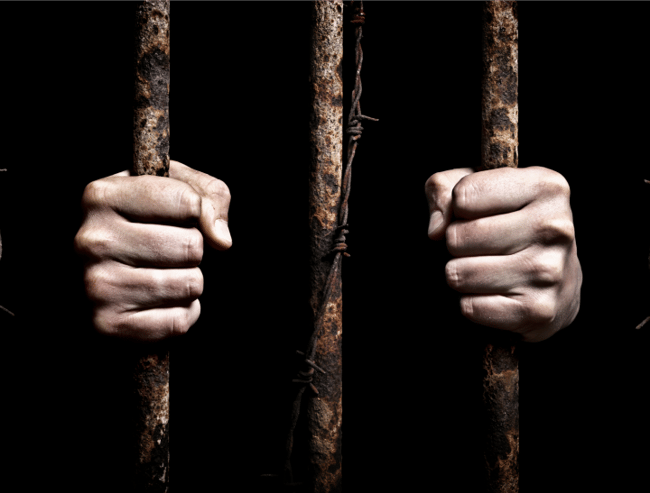 "My MIL wants my fiance and I to postpone our wedding because my FIL is in jail." Let’s face it – even the best in-laws can be a bit painful at times. But if you thought your in-laws were a handful, chances are they’ve got nothing on this story. A 24-year-old bride-to-be recently took to Reddit to vent about her mother and father in-law who are interfering in her wedding planning in a very unique way. The mother-in-law is insisting that the wedding is postponed by up to 12 years - while the father-in-law is in jail. My future father-in-law is looking at 10-12 years in prison. My fiancé and I have a 6-month-old daughter, and have been planning a wedding. My future mother-in-law is trying to convince my fiancé to force me into postponing the wedding, and even went as far as saying that we can&apos;t have any more children until her husband is out of prison so that he doesn&apos;t miss anything. I feel sick thinking about waiting 10-12 more years to marry someone that I&apos;ve been with for seven years already. I DEFINITELY don&apos;t want to postpone having more children just so that he doesn&apos;t miss it. Am I insane? I mean, my daughter could be 12 by the time she sees him again, and I&apos;m not waiting 12 more years to grow our family. We already have a venue, my dress, invitations have been sent, I have family flying into town. I may be selfish here, but I just don&apos;t feel as though we should be punished just because his father decided that being a criminal was more important than watching his first granddaughter grow up, and watching his only son get married. I just feel as though he should have been thinking of his family. My fiancé has a sister that will be turning 10, and she could be 22 by the time he&apos;s out. Should she not graduate or go to college or get her license so that her dad doesn&apos;t miss it while he&apos;s serving time for his sixth felony? I just don&apos;t know how I&apos;m supposed to tell my future mother-in-law, "absolutely not. I will not wait 12 years to do what we&apos;ve been planning for years, and to give my daughter a sibling someday. Redditors overwhelmingly urged the woman to ignore her in-laws, marry her partner and grow her family anyway. Snowman50 wrote: "This is absolutely hilarious. Her request is so out of line that you honestly should just laugh at her. She thinks her convict husband should dictate how you run your family and life. I think you know how to proceed here." North_Dakotan showed their disbelief at the situation: "My husband committed crimes that will put him away for 12 years. Because of this, you must also now give yourself a 12 year sentence." Whaaaa? kachuck suggested: "There are two options, depending on what sort of personality MIL is. If she isn&apos;t normally like this and is reeling, I&apos;d be nice about it and explain that everyone (MIL included) needs to keep their lives going while he is on the inside. If she is normally like this, you stomp this out hard." While hatterasfish added: "Depending on the crime, would OP even really want her family and kids around this dude anyway?" What&apos;s the worst thing your in-laws have ever done?